I had earned a short day at the office today and was planning on a very quick walk to metro to get out of the cold. Since I was passing at lunchtime, the food trucks were out in force at Canal Park. 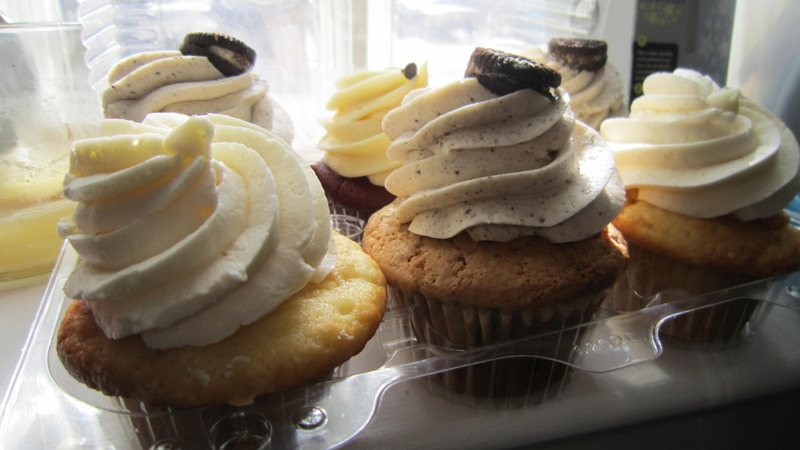 Normally, I don’t bother stopping because of the cold and the lines, but fortune was smiling upon me as Curbside Cupcakes, one of my favorite trucks happened to be out there and how better to treat myself than to a ½ dozen cupcakes paired with some ice cold milk–or hot espresso–at home? 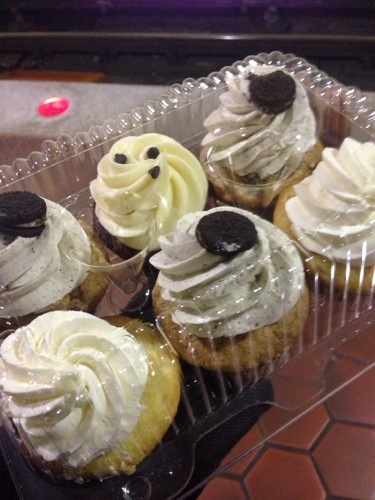 I must admit, I don’t have a huge sweet tooth, and even when I indulge, my preferences are pretty plain. Not being a chocoholic–blasphemy, I know–I go for vanilla, red velvet and cookies & cream, with a great preference for the latter. Curbside never disappoints, and I happily headed home past the usual jokes from passersby and fellow commuters, “Oh, are those for me? You shouldn’t have!” and “Your co-workers are very lucky.” and today I even got a “Is that an early Valentine’s present?” from a nice woman on the train. 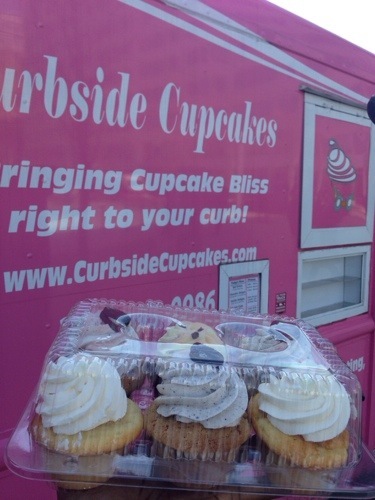 *drool* I love Curbside Cupcakes!